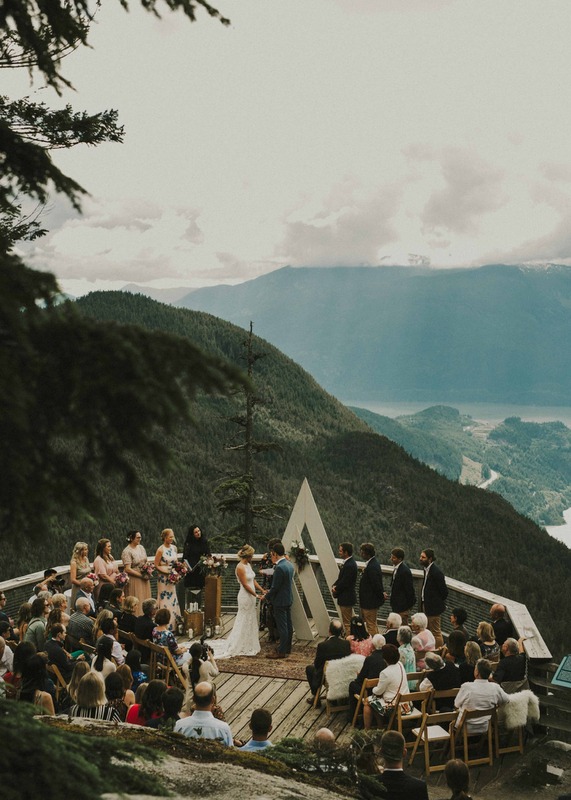 5 Picture-Perfect Mountaintop Venues Across B.C. 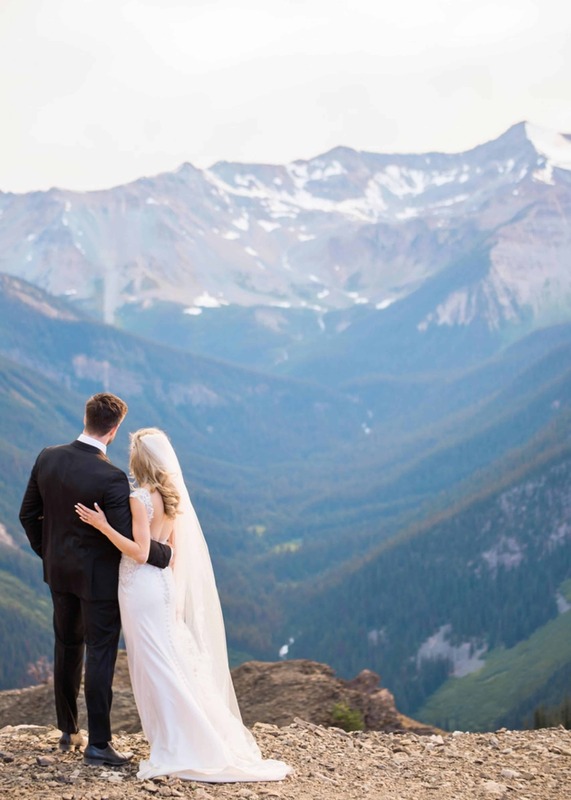 In an age ruled by social media–and oversharing–sometimes stepping away from the phone to steep in what really matters can lay the groundwork for a glorious wedding. 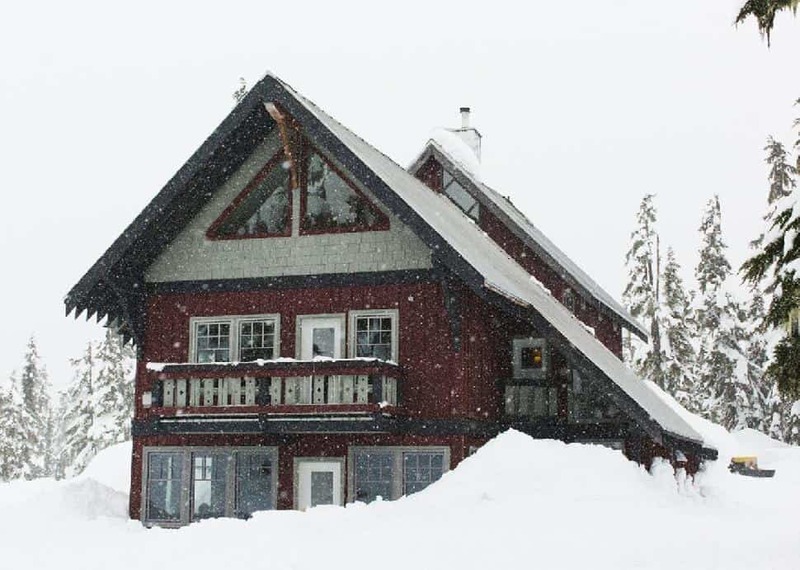 Journeyman Lodge, managed by Callaghan Country Wilderness Adventures and located outside Whistler on the upper Callaghan basin in the province’s Coast Mountain range, is a location that eschews digital connectivity for human interaction. “It’s totally off the grid and unplugged. The connection here is human,” explains the venue’s assistant general manager Kim Ebers. 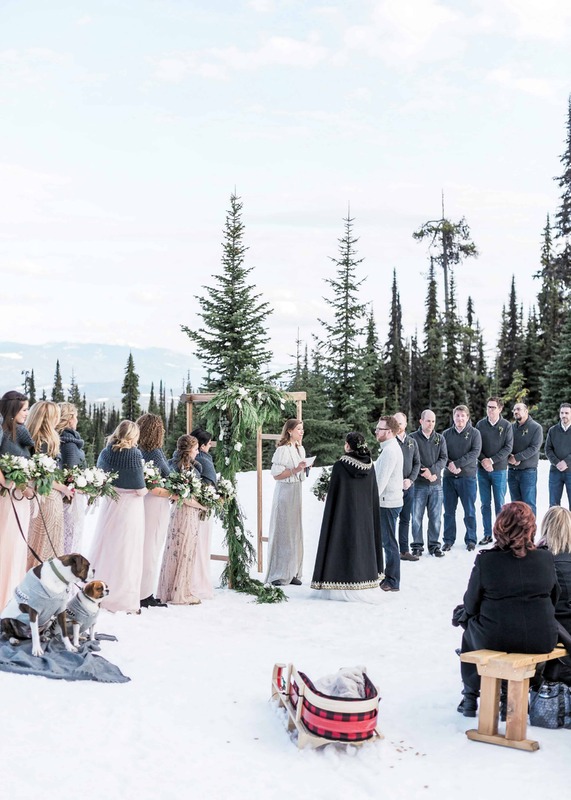 After the ceremony and a few photo stops, the 5,000-square-foot lodge offers visitors well-appointed accommodations, a commercial kitchen and a dining room that comfortably seats up to 48 adventurers. “Guests can even enjoy our wood-fire Scandinavian sauna that sits next to a rushing alpine creek, just a five-minute hike from the lodge,” adds Ebers. 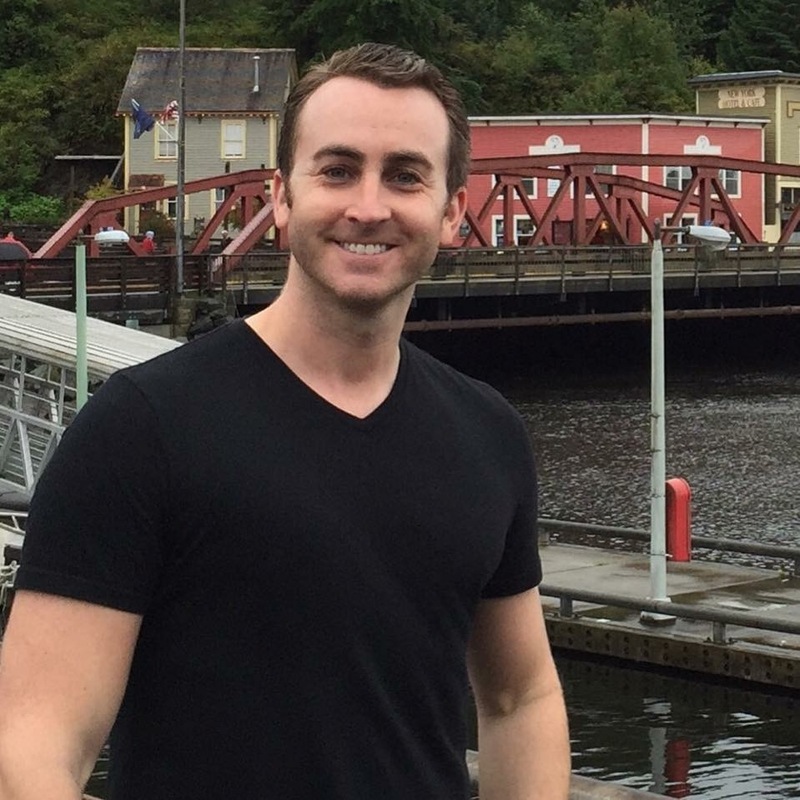 INSIDER INFO: “Flexibility is key as many of the logistics rely on weather, operational schedules, and a hardworking but tiny team,” says Ebers. And there’s no shortage of support. 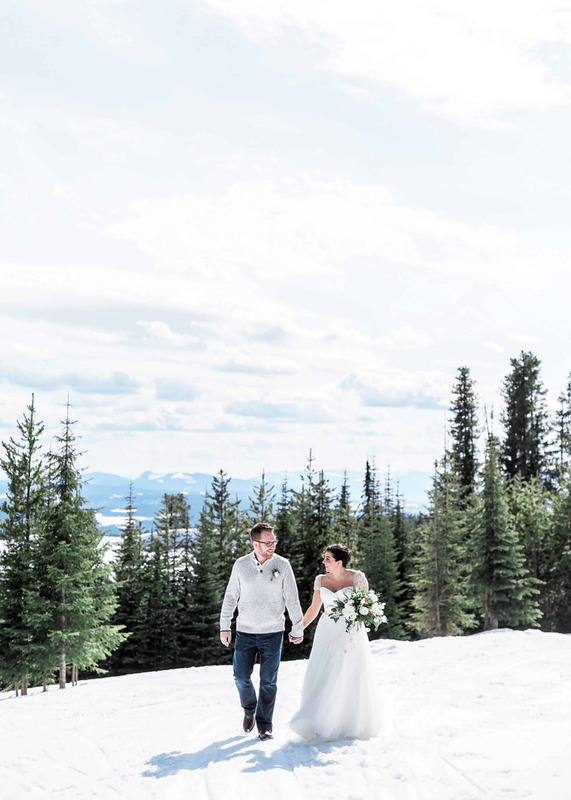 “We have also had couples get married on their snowboards or in their ski boots, and their guests joined them in a celebratory ride down the mountain after their ceremony. This definitely draws a crowd and lots of cheering from fellow skiers,” says Gobeil. 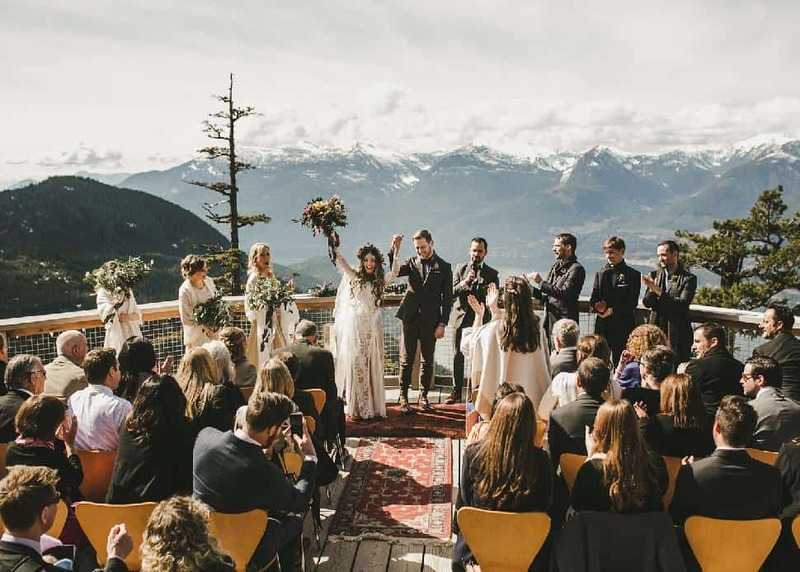 INSIDER INFO: “Always ensure your guests are aware of the destination of your ceremony, and that it can be cold in the mountains. Be prepared to experience mountain weather. The reception is where they can dress up,” says Gobeil. With holiday spirit already in place during December, some wedding parties may even manage to bank a few pennies. 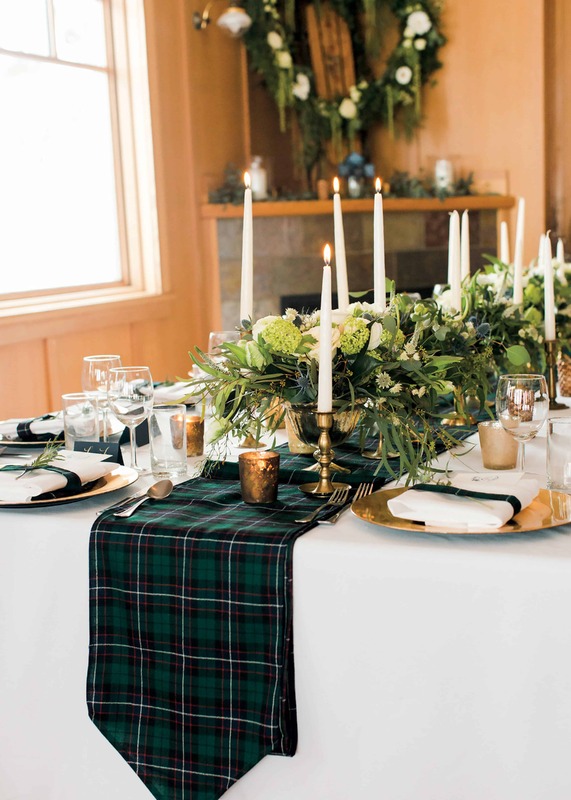 “If you like twinkly lights, lots of greenery and candles, then you can save on decor,” jokes MacKenzie. 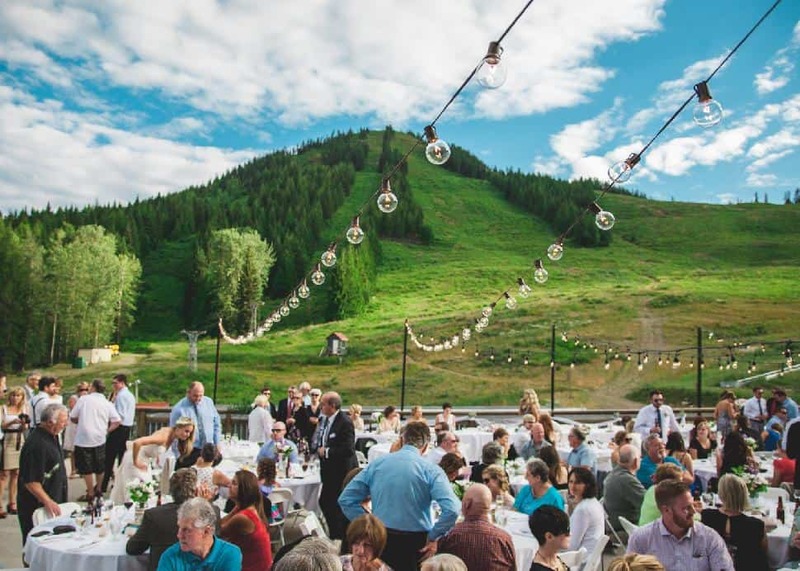 INSIDER INFO: “To minimize costs, consider having your wedding on a weekday or in non-peak season. Save money and–bonus!–it’s not as busy,” recommends MacKenzie. 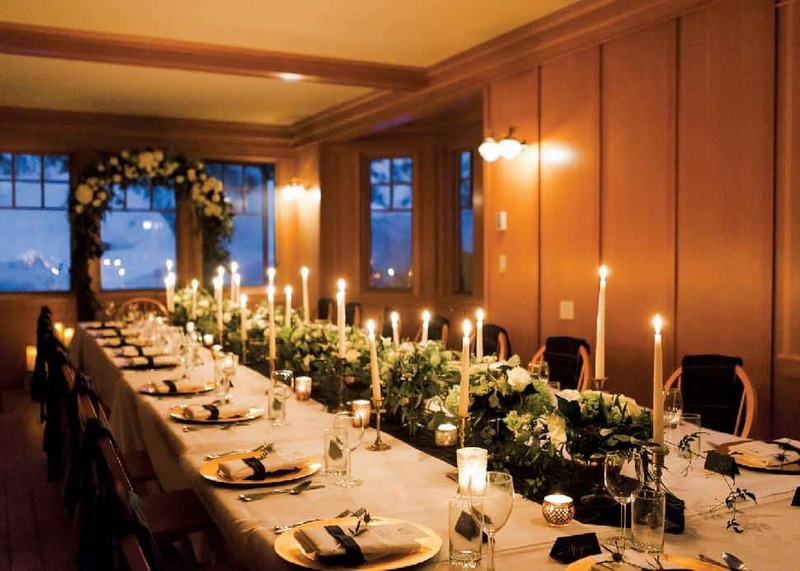 Wedding services include catering, bar service and even the all-important set-up and tear-down. Says Parke, “We pride ourselves on exceptional customer service. 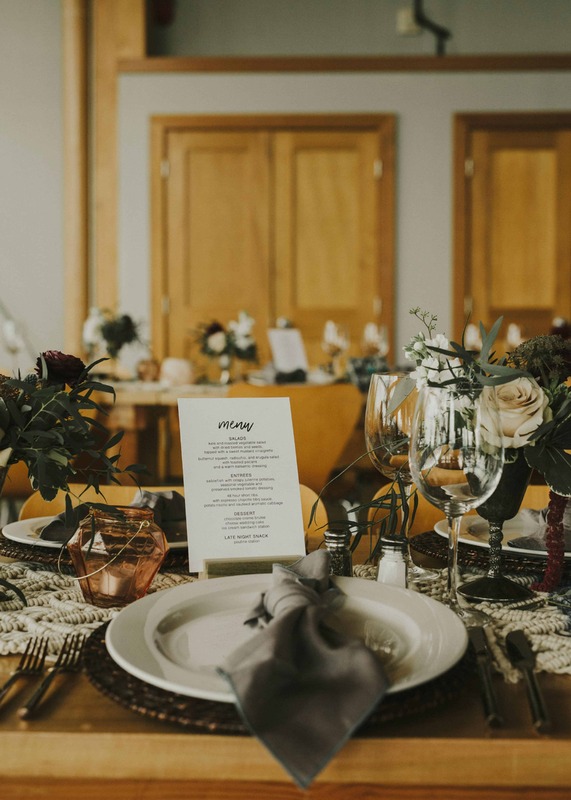 Throughout the planning process, you are in touch with a wedding coordinator to assist with questions, requests and pulling the entire event together.” A pride in their offering certainly shows. 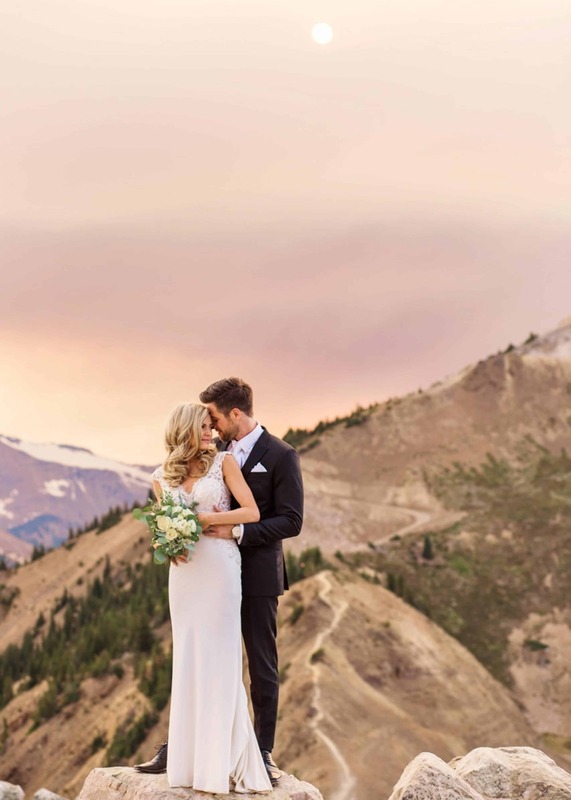 “Kicking Horse Mountain Resort is a world class wedding destination where the mountains are a lot closer, the moments are a lot larger and the smiles more than just a little wider,” she says. INSIDER INFO: “End the evening with a bang! A private fireworks show makes a spectacular addition to your event,” suggests Parke. 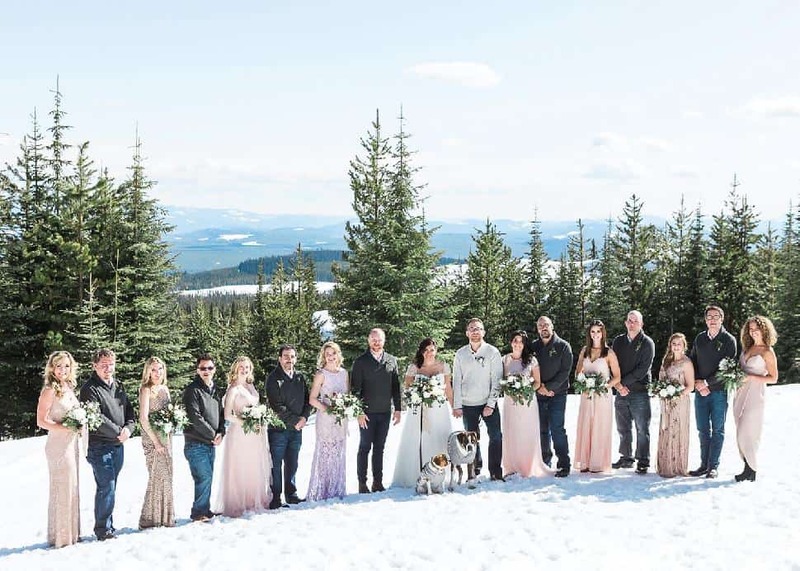 The proudly independent winter haven of Red Mountain Resort is acclaimed by both bridal parties and The New York Times alike. 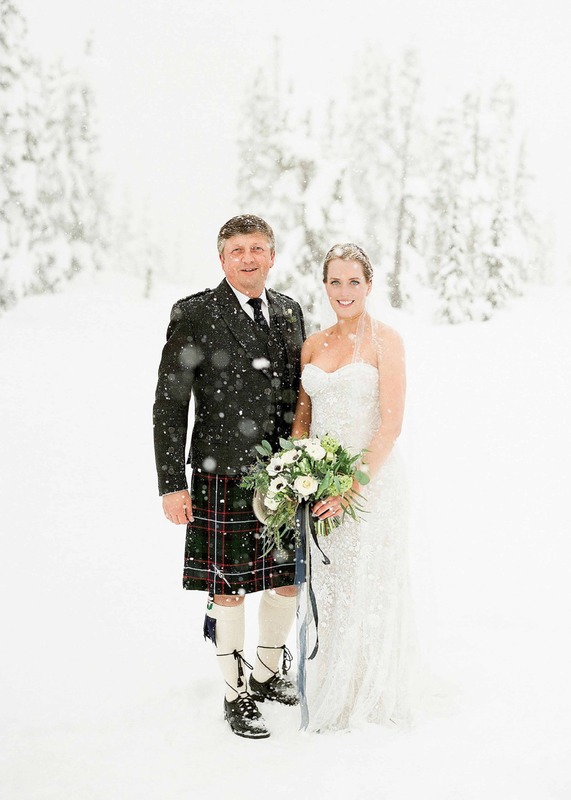 Cited as one of the central reasons that Rossland, B.C. 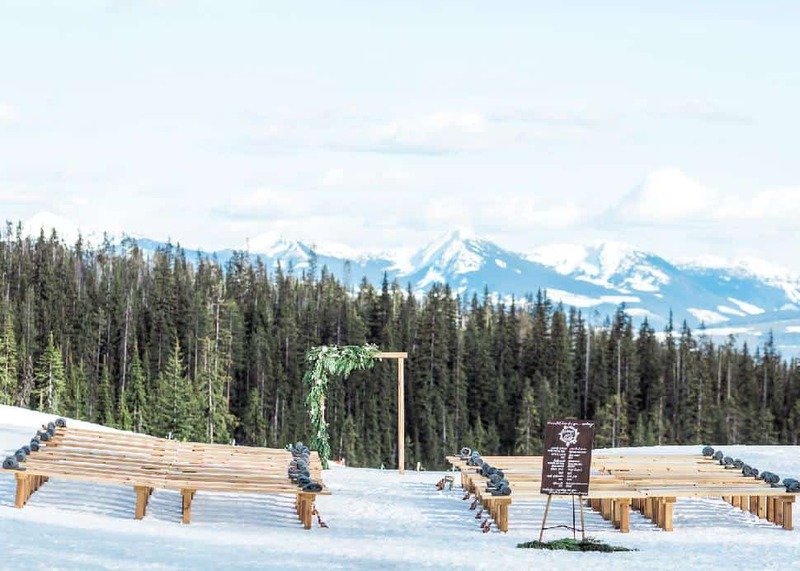 was once declared the eighth best place in the world to visit by the esteemed daily newspaper, the community was heralded as “a quiet mountain joining the big leagues.” But incredible powder and a brand new boutique hotel, The Josie, are just half the story. 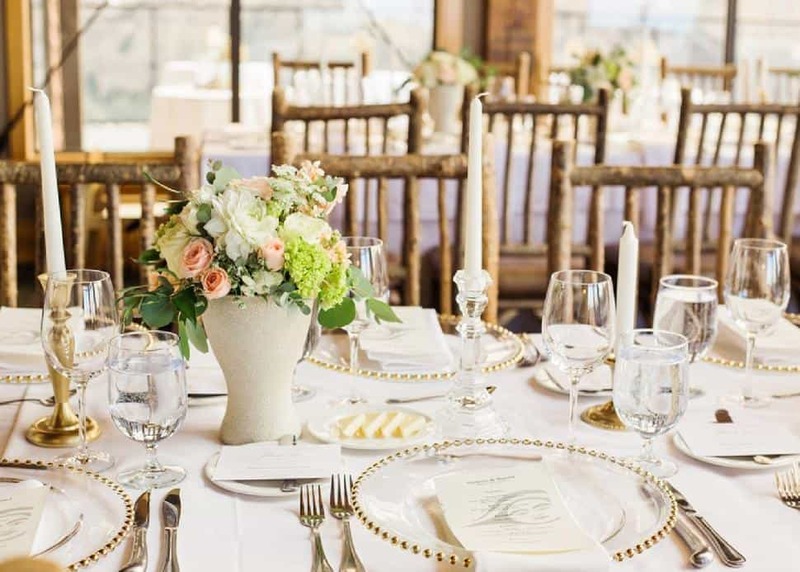 “We offer spring weddings… and—more or less—the whole space can be your private destination with a buyout,” says Ivor Smith, the resort’s director of food, beverage and conference services. 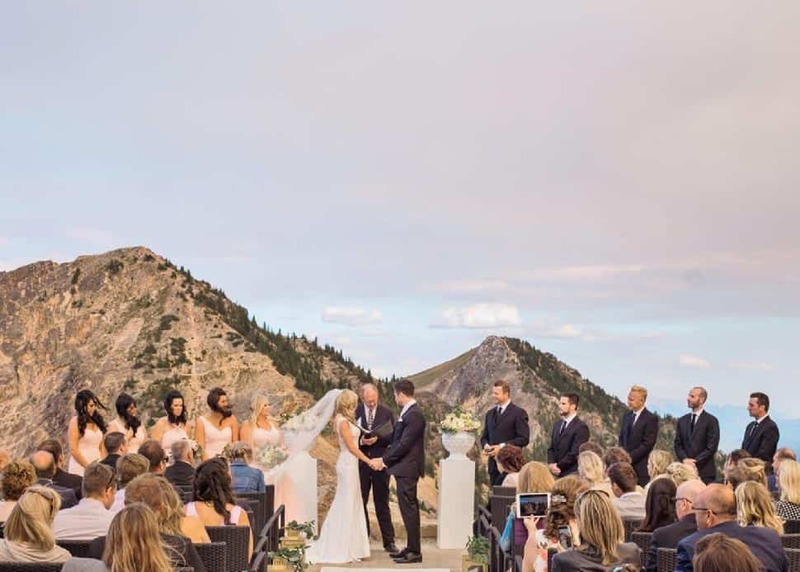 Several customized wedding packages are on offer, and a 4,400-square-foot deck provides sweeping photo ops with both Red and Granite Mountains as a wedding day backdrop. “There is great access to nature,” explains Smith. 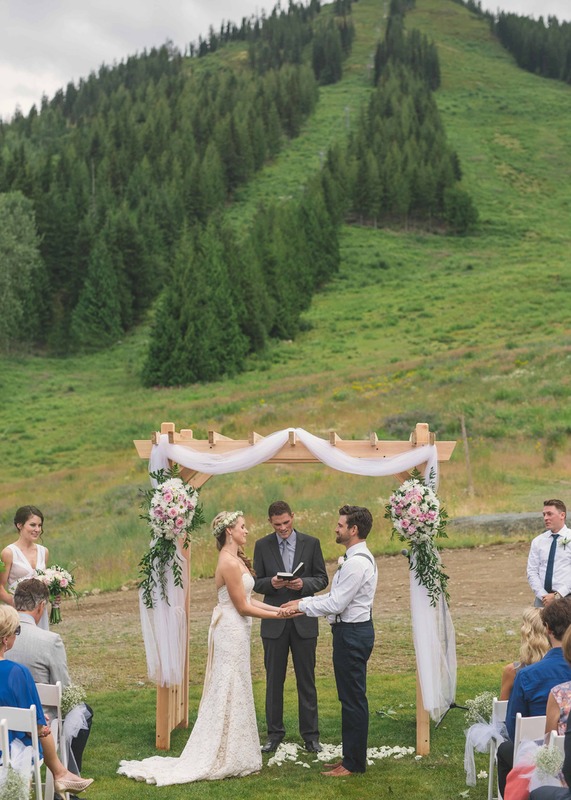 INSIDER INFO: Use a combination of the beautiful outdoor deck at the day lodge along with the indoor ceremony and reception space. Unable to make the trek? 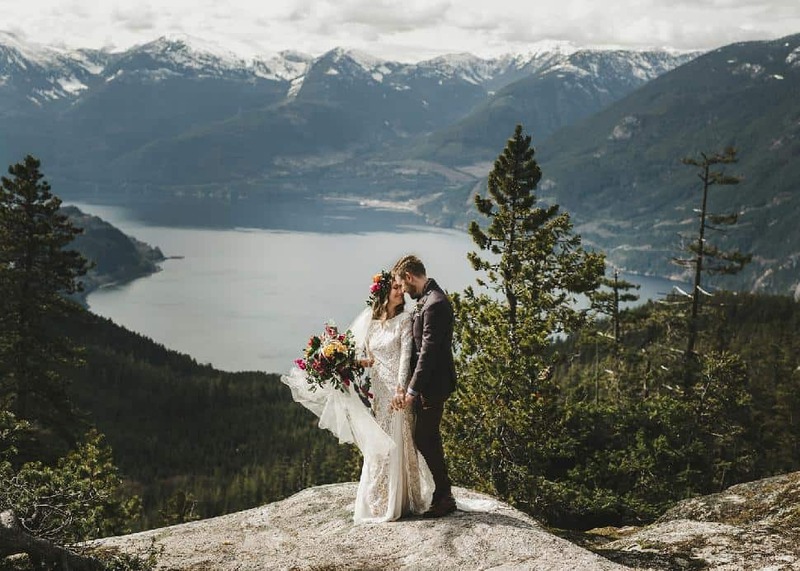 Perfect winter backdrops are available right at sea level with these stunning oceanfront venues speckled around B.C. 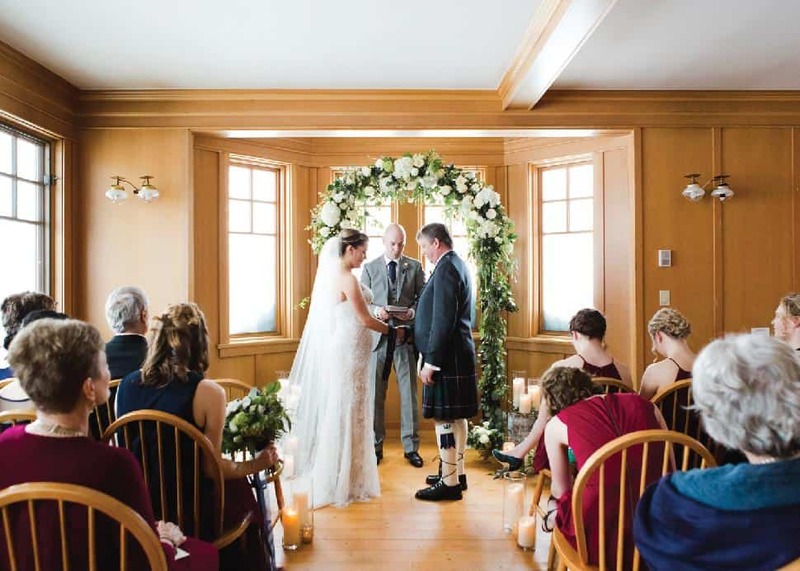 The North Vancouver venue, located in a restored heritage building at the city’s shipyards, offers over 8,000 square feet of open space in which to create a dream wedding. 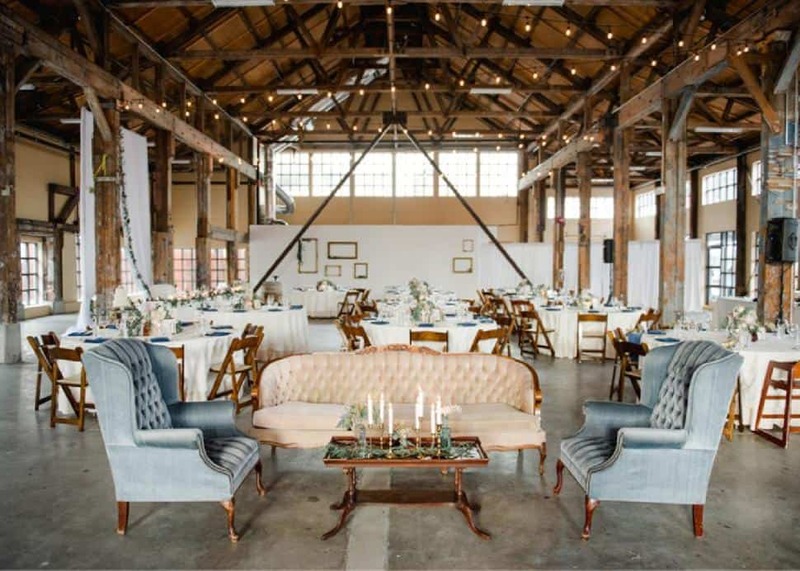 “With original wooden beams, industrial concrete floors, soaring vaulted ceilings, expansive windows and endless natural light, the Pipe Shop is truly one of a kind,” professes Kelsey Malden, the locale’s venue manager. 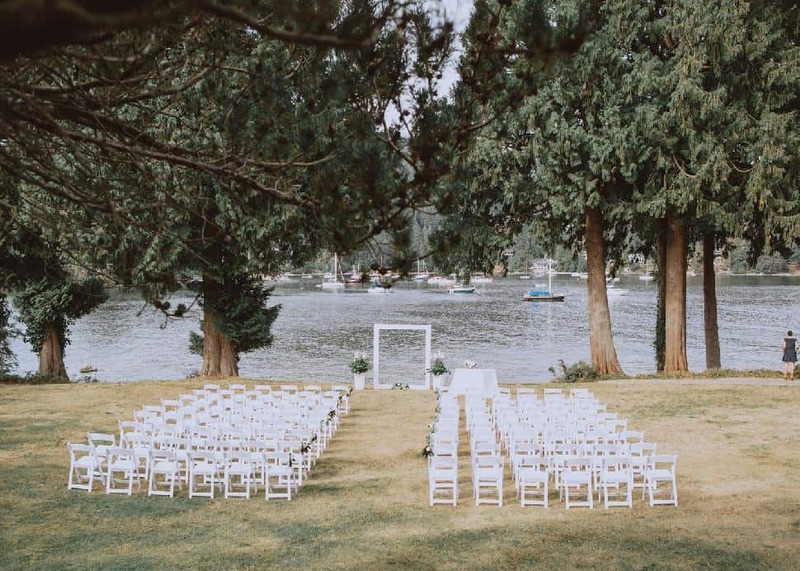 Just a short ferry ride from Horseshoe Bay, Bowen Island has always held an artistic, airy charm, and this venue certainly reflects that. 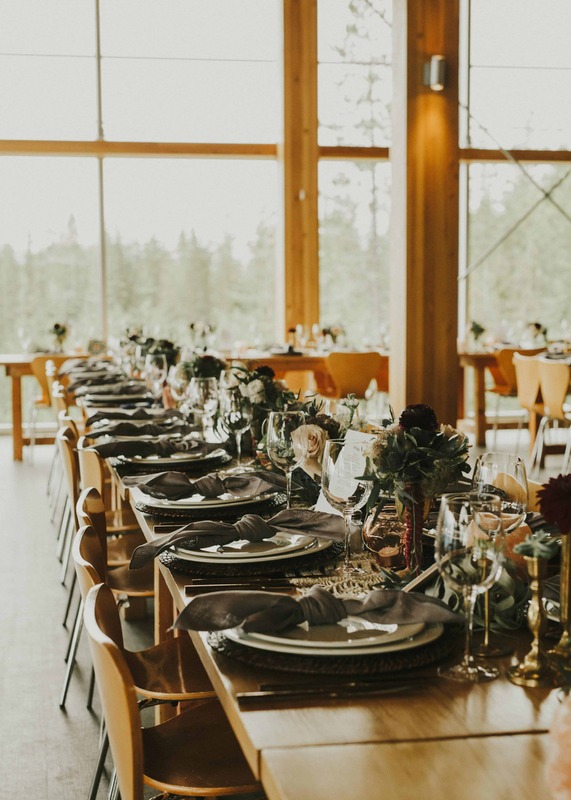 Housing 24 guest rooms and event space suitable for celebrations of up to 150 guests, the lodge is both modern and rustic. 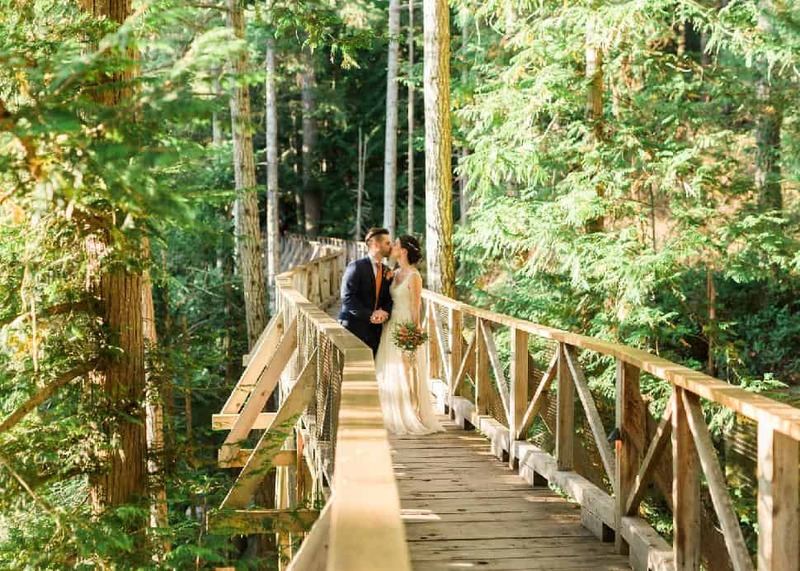 A romantic getaway at any time of year, the Sunshine Coast’s Rockwater Resort consistently creates wedding-day bliss for couples who choose the spot for its focus on both natural beauty and guest relaxation.